The Corporate Counsel Section of the State Bar is the only section of the State Bar that is specifically geared to the in-house practice of law, serving in-house counsel as well as the outside counsel who work with them. The Corporate Counsel Section's newsletter, published several times a year via email to Members. Last year's newsletters provided our Section Members with over 50 articles on hot topics of interest to our Members. 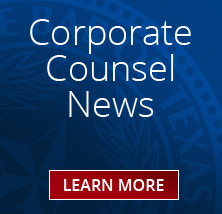 The Corporate Counsel Review, a law journal co-published twice a year by the Corporate Counsel Section and South Texas College of Law and provided for free to Section Members. The Corporate Counsel Newsstand, provided free to Section Members and consolidating and organizing cutting edge and totally up to date information on a wide variety of topics into one daily (or weekly) email based on your preferences. You can change your preferences at any time by selecting the work areas and jurisdictions of interest to you. You can also subscribe to Corporate Counsel Newsstand via RSS feed to receive your personalized Corporate Counsel Newsstand in the feed reader of your choice. 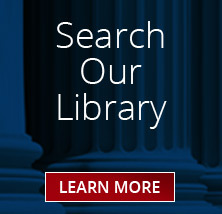 The entire library of Corporate Counsel Newsstand is also keyword searchable to our Section Members. 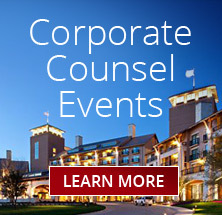 A $25 registration discount to the 2018 Corporate Counsel Institute CLE, co-sponsored by the Corporate Counsel Section and the University of Texas School of Law, offered in Dallas and Houston in 2016. Opportunities to network with in-house and outside counsel at complimentary networking and CLE events at locations around the state. A great way to give back to the legal community and the public at large. Every year, the Corporate Counsel Section donates thousands of dollars in grants to pro bono organizations. In 2016 and 2017 the Section donated over $40,000 each year to pro bono organizations throughout the state. Our new and improved Section website, with the new Members only Section containing searchable archives and more. 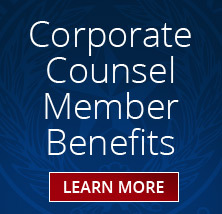 Join the Corporate Counsel Section today to take advantage of these benefits and more.